Flower Girl Unseen, a photo by ericwagner on Flickr. Flower interpretation Laurelle Hartley-Thom inspired by Nicolai Fechin, Flower Girl, ca. 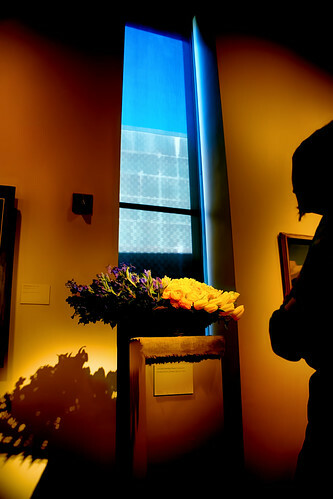 1925, Bouquets to Art 2014, de Young Museum, San Francisco CA, March 19th 2014. Photo note: Another in my continuing experiments exploring the boundaries between photography and painting. This entry was posted in Uncategorized on March 21, 2014 by eric.